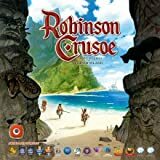 Robinson Crusoe is a cooperative adventure board game in which players take on the roles of a ship crew (cook, carpenter, explorer or soldier) on a cursed and deserted island. Your task is to build a shelter, ward off potential dangers and complete the missions. 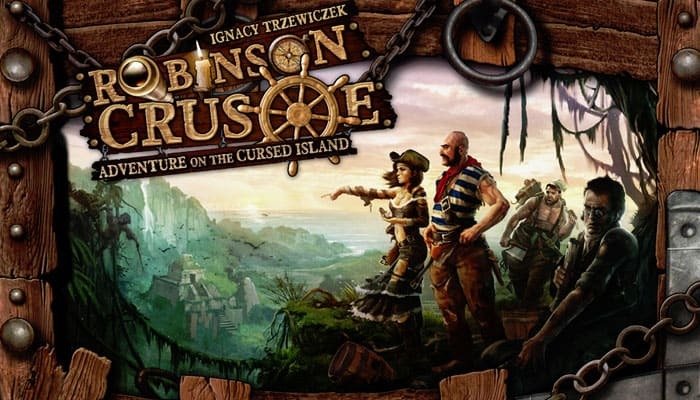 During each game, with the help of your team mates, you will need to explore the island, find food, build and fortify a camp, protect yourself from weather changes, fight beast and face many different adventures while trying to survive and achieve yor goal (which varies depending on the six different scenarios being played). Let the adventure start! When there are 4 players, take the special "Arranging the Camp" card and place it on the board to cover the corresponding space. Each time a player takes the Arranging the Camp Action, he either gets 2 Determination tokens or increases the Morale level by 1 on the main board. 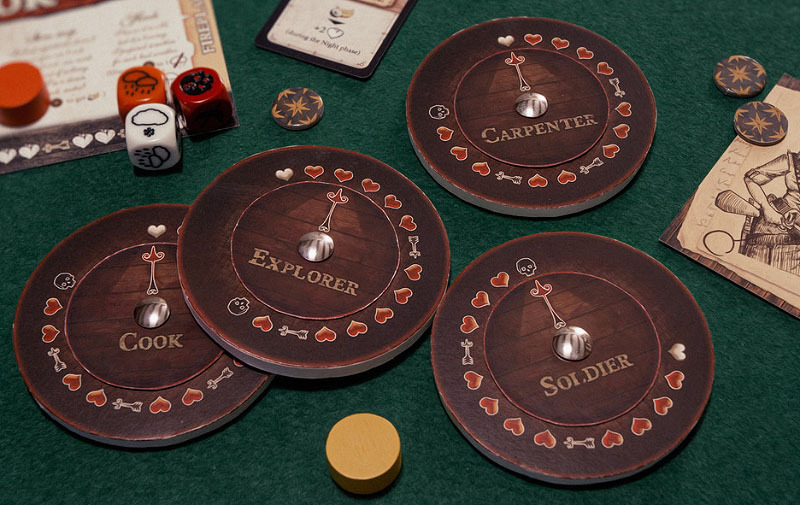 Players randomly draw a Character card out of only the following three: Carpenter, Cook and Explorer. DECIDE (mostly used on Adventure cards) - Players always have the choice described on the card. It is usually a choice between discarding the Adventure card without any effect, or getting some benefits but also facing some consequences later (i.e. shuffling the Adventure card into the Event deck and resolving some negative effect if it is drawn in a future round).